Sometimes the most brilliant ideas for a home are elementary to do with one`s own hands, all you need is desire and a creative approach. 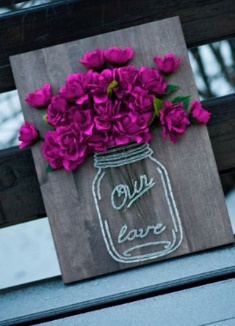 Sometimes you can even make lovely original handcrafted items from unnecessary things. Creative things for the home are about uniqueness, charisma, and exclusiveness; it is a unique look and a special atmosphere. Perhaps everyone would want to have something exclusive at home, which decorates the interior. And no need to pay for it a small fortune. You can use small charming tabourets made of plywood and painted with bright colors for furnishing a kitchen, a children`s room or a living room. 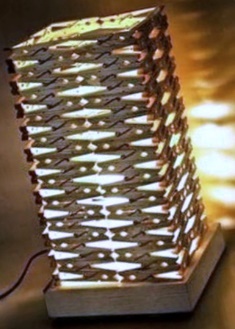 A beautiful nightlight made of wooden clothespins glued together, will harmoniously fit into the bedroom interior, decorate the bedside cabinet and become a creative interior detail. 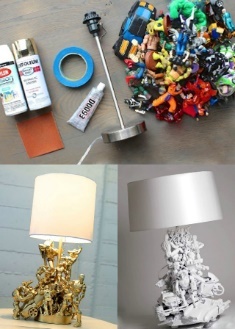 The faceless table lamp can be turned into a real designer masterpiece, decorating its base with useless plastic toys. 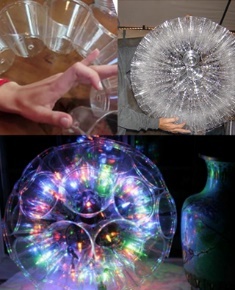 Fascinating lamp, which requires only a transparent vase made of plastic or glass, a hydrogel, a light bulb, and water. Such an unusual lighting device will fill the room with soft, mysterious light and will perfectly fit into the interior of an entrance hall, a bedroom or a living room. 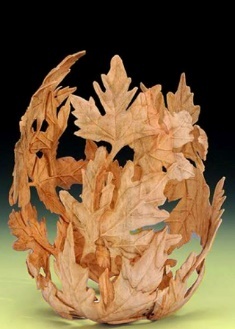 You can make a fantastic decorative vase of maple leaves can be made with a balloon and glue. There is undoubtedly a place for such an unusual thing in any interior. 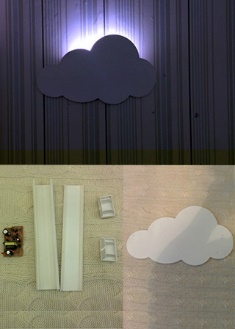 The original sconce in the form of a cloud, made of a small piece of plywood, cable passage, and light bulb, will become a unique decoration of the walls of a children`s room. Pilsner glasses made of plastic can be used to create a fantastic festive garland. 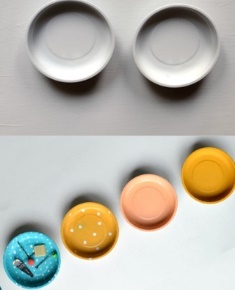 Use can cover to create enchanting magnetic dishes. To do this, include the cover with a first coat, paint in beautiful colors and glue the small magnets on the back. You can use the resulting products can be used for the decoration of the refrigerator and the storage of various metal trifles. 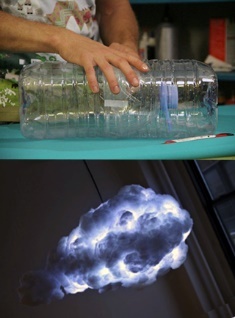 A glamour lamp in the water of a thundercloud made of plastic bottles, light bulbs, and cotton wool. Of course, such lighting will not replace the ceiling chandelier, but it will be an incredible detail of the bedroom, living room or thematic children`s room. 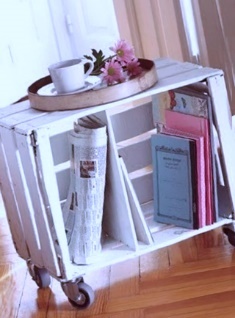 A simple and very stylish bedside table on wheels, which you can make with your own hands from an ordinary wooden box painted with white color. 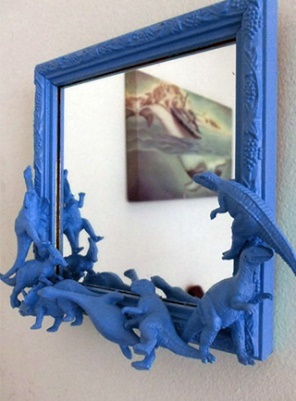 The blue frame for the mirror, ornamented with plastic toy dinosaurs, will decorate the mirror and make it a spectacular interior detail. 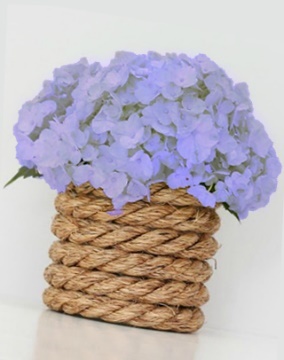 An unusual rope vase complete with a bunch of artificial flowers will be an excellent and adorable home decoration. 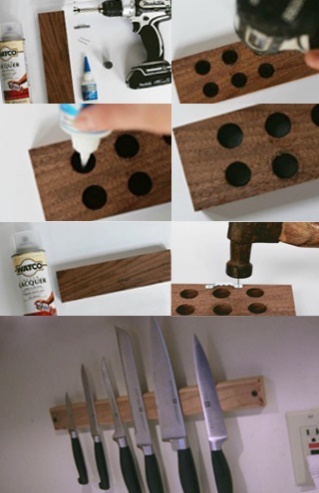 You can make a practical, functional and stylish holder for the legs of wooden boards and a few magnets will perfectly fit into the interior of the kitchen, decorated in a rustic or cottage style. A plywood sheet, threads, small nails, and artificial flowers are all that is required to create this fantastic panel in the currently favorite string-art technique. 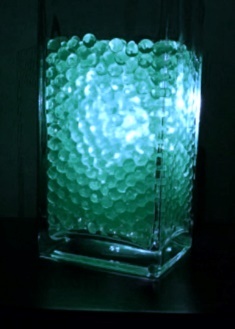 Such an unusual thing can be a gift for someone from loved ones or magnificent interior decoration. 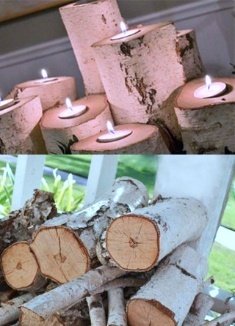 Small birch cribs are an ideal material for creating original menorahs. Use cribs of different heights to create an eye-catching and unusual composition in one of the corners of your apartment. 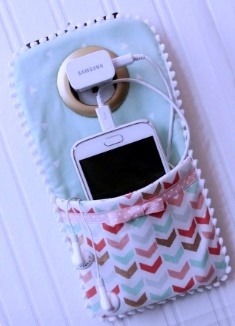 Decorate a bedroom door-handle with a small organizer sewed from the shred of any thick fabric. The resulting product is suitable for holding a mobile phone, glasses, headphones and other trifles. 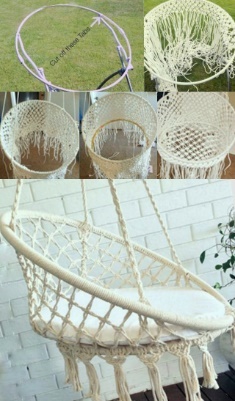 You can furnish a balcony, a terrace or a bedroom with a fantastic hanging chair made of metal hoops decorated with macramé cords. 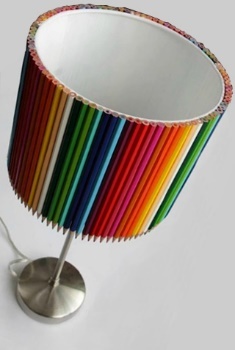 Color pencils can help to transform a simple white lampshade of a torchiere. Just glue them around the perimeter and enjoy your updated bright light. 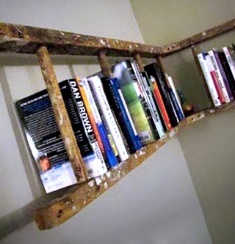 Perhaps many will be surprised, but an old wooden pedal ladder or a ladder can be a useful thing for home and comfort. Everything is straightforward, it is necessary to paint the stairs or to open it with varnish; the main thing is that it fits into the interior. It remains only to attach it to the wall and arrange books. If to use a ladder then it is possible to place wide boards on it, which will allow putting various small objects or flower-pots on them. 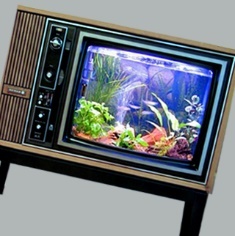 An old lamp TV can be the first aquarium. To do this, remove the kinescope and other unnecessary parts from it, and put the tank with the aquarium. Thanks to its sturdy frame, the TV will be able to withstand the heavyweight created by water. 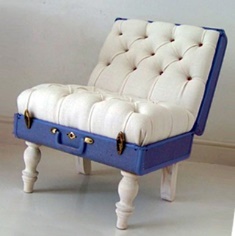 You can make a chair, which is a useful thing for home and cottage, can be made from an old suitcase. 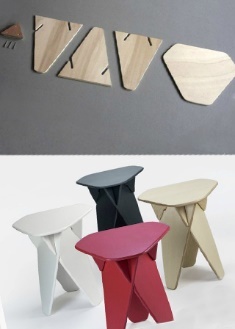 Buy the legs at a furniture store or, if you have tools, you can make them yourself. Attach them on one side, pre-painted or decorated. Another important detail – two soft pillows, suitable for the size of the suitcase. That is all, the original chair for a hall or a country house is ready. If desired, you can decorate the briefcase itself. 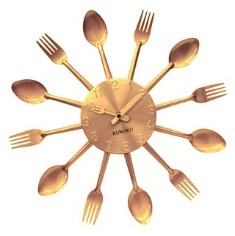 From old cutlery, you can make the original clock for the kitchen. Even plastic kitchenware will do. It is necessary to take around the base of wood, glue the devices in a circle at a certain distance and paint them as desired. You will only have to attach a clock mechanism, and you can decorate the kitchen with an original clock. Prices for furniture are increasing every year, and especially if it is something original and unusual. 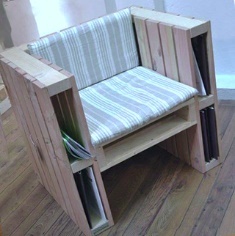 Beautiful and unique furniture can be made with your own hands, using as basis pallets, which are available in any hardware store. They are accessible to saw, paint, and bond together. From the pallets, you can make a table, sofa, bed, sunbed, and wardrobe. Only a few cots, pillows and here it is the original chair, which will be the highlight of the interior of any room. As you know, comfort consists of trifles. However, it is not so easy to create as it seems at first glance. Being able to feel the golden mean is essential. After all, thanks to the “little things” it is easy to turn to the house into not only a cluttered place of residence and a dust collector, but also to make it empty and dull. The best way out of this situation is to add some bright, hand-made details to the interior. Progress does not stand still, and regularly new convenient devices appear in the world, which makes it possible to simplify and improve life. In most cases, it is not a cheap pleasure, so many are learning to create crafts and useful things for the house with their own hands. By the way, some people have built a real, and most importantly, a successful business, creating independently unique things that are very popular in modern society. Melisa Marzett is a guest post writer who is currently working for http://star-writers.com with almost ten years of experience in writing. She has been writing on different topics, and home improvement is one of them. She lives and works in Phoenix, Arizona but has an opportunity to travel working and enjoying going at the same time. She dreams of building a family, buying a house and take care of a garden.